Keyword research involves brainstorming, and it must be done on a regular basis with the help of specific tools. To achieve your best SEO results, it’s important to choose the most relevant keywords. Researching keywords involves continuous discovery, careful consideration of new opportunities and niches, and integration with the rest of your marketing endeavors in order to achieve profitable results. Compiling a list of keywords and sticking with it for months won’t do much justice to your overall keyword strategy. Searchers’ intentions have been changing ever since search engines first became available to the public. So how do you conduct dynamic keyword research that covers relevant keywords and remains profitable? 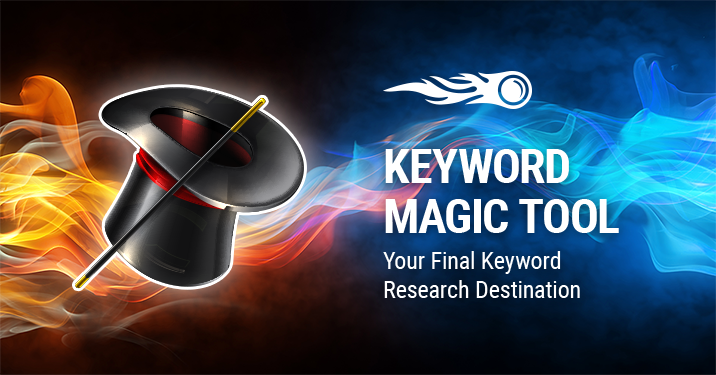 The Keyword Magic tool allows you to export up to one million keywords in a single file. Now you won’t need to compile and merge multiple reports. Also, you can now group your keywords into niches to evaluate your current niche, or consider expanding into different ones. From a technical standpoint, we now gather data much faster than before and offer a much wider range of analysis for both single keywords and groups of keywords. Our primary mission is to make life easier for digital marketers by reducing the amount of time they spend on monotonous, everyday activities and helping businesses take advantage of all their opportunities. Please note: Currently, the SEMrush Keyword Magic tool is in beta, and it is available for all registered SEMrush users for a limited time only. Free access to the tool will expire at the end of the beta trial. After that, the tool will be available for all paid SEMrush subscriptions.